Dr. Kieran O’Conor, descendant of Hugo O’Conor, will be giving a special lecture on Tuesday, May 7, 2019 at 7:00 p.m. at the Presidio San Agustin del Tucson’s museum patio (196 N. Court St.). Dr. O’Conor, an archaeologist at the National University of Ireland, Galway, will share his personal family history and archaeological expertise about this Tucson/Irish connection. 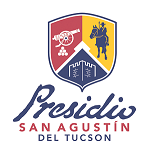 Hugo O’Conor, who was an18th-century military inspector and commandant of New Spain’s northern frontier, authorized the construction of the presidio in Tucson and is considered the city’s founding father. The cost is $15 for presidio members/$20 for non-members. For more information call (520) 837-8119.